Entertainment and Controversy-No Holds Barred! It’s official. WWE’s 14 year veteran, “The Rated R Superstar,” Edge, has left the building. For months, various wrestling news sources had been gossiping about the 11-time World Champion’s future in the WWE. Most of them speculated that he would retire in 2012. But, on April 11, 2011, during WWE’s Monday Night Raw, 37-year-old Edge (Adam Copeland) shocked the WWE Universe when he walked (reluctantly) out to the ring to announce his forced retirement. Die hard “Edge Heads” remember all to well the broken neck that nearly put him on the shelf in 2003. It was then that he had his first neck fusion surgery, a surgery that would keep him out of action for nearly a year. But Edge was not going to stay down. 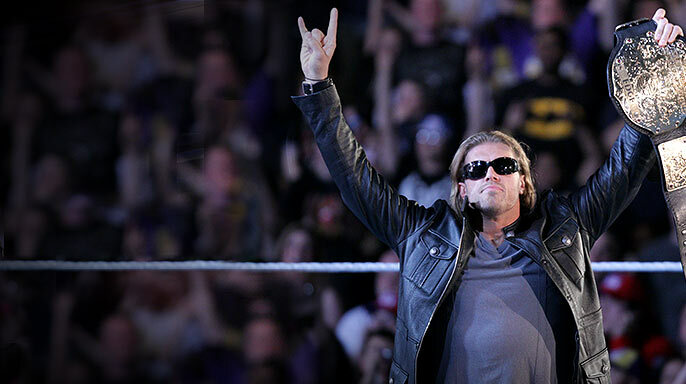 The by-product of Edge’s determination was no doubt due to his long-term love affair with the WWE. As a boy, Edge dreamed of becoming a WWE Superstar, and was voted “most likely to become WWE Champion” in high school. At home as a fan in the Toronto Skydome, Edge watched his hero, Hulk Hogan, battle it out with the Ultimate Warrior at Wrestlemania VI. This epic event sealed the deal for him. During his illustrious WWE career, Edge competed in a combined 19, record -breaking ladder, and tables, ladders and chairs matches (TLC.) For those of you who may be unfamiliar, TLC matches are one of the most brutal matches the WWE has concocted. Edge, along with former tag team partner Christian, the Hardy Boyz and the Dudley Boyz, were innovators of the TLC. But, they weren’t just innovators, this tag team trio were arguably the greatest in the WWE’s now dead tag team division; take a look in the WWE’s history book, you’ll find Edge & Christian, the Hardy Boyz and the Dudley’s secured themselves a prestigious spot. A lot of people think that the WWE doesn’t hurt, that what we do is somewhat smoke and mirrors- and I wish that were true. But anybody in that locker room, anybody that has ever stepped foot in here, anybody that’s ever laced up a pair of boots, they know that’s not the case. Eight years ago, I broke my neck. I had spinal fusion surgery…because of that surgery, I knew that I was wrestling on borrowed time from that point on… The last little while, I’ve been in a lot of pain- I’ve been losing feeling in my arms. So, I passed a strength test and all of those things and I made it through Wrestlemania- but, the WWE wanted me to go get more tests, and thankfully I did. But, the MRI tests showed that I have to retire. Trust me it’s not my choice, the doctors have told me that I got no choice- and thankfully they found out, because I’m not going to end up in a wheelchair now. Note: To see the rest of Edge’s retirement speech, go here. Edge also talked about not wanting a day to come where he wouldn’t be able to get back up in a match. Had he continued to wrestle, this may have been the outcome. Some of you may remember Darren Drozdov (A.K.A. Puke, Droz) from the WWE’s Attitude Era in the late 90’s. Droz became a quadriplegic due to a neck injury which he sustained during a match with D’Lo Brown in 1999. With the fates seemingly on his side, Edge took his final bow at the following Smackdown, where he relinquished his championship belt to an arena filled with “Thank You Edge” and “Thank You Mom” chants. But, how does the WWE replace one of the top superstars of the decade, a man who has amassed an astonishing 3o championship titles? With a roster that’s already depleted, it makes you wonder what their next move is going to be. 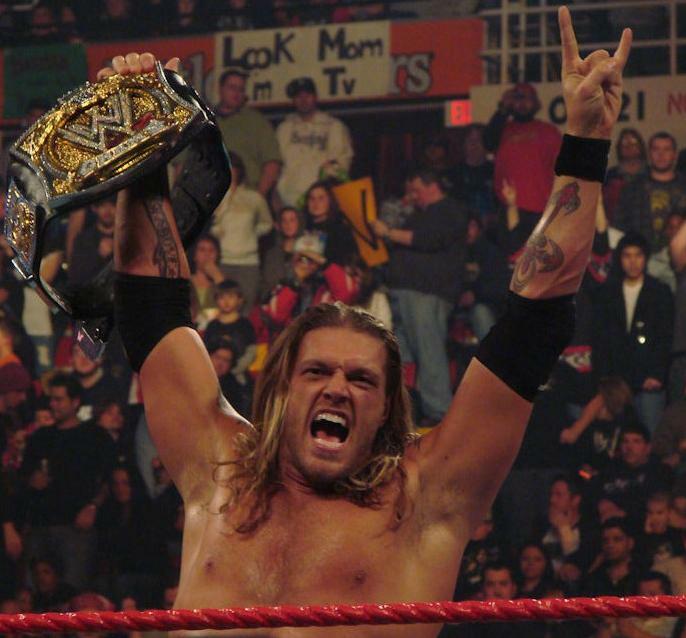 There is one other man on the roster who has the ability to be a great champion- Edge’s long time friend, Christian. Here’s hoping he takes the belt at the Extreme Rules PPV, where he’ll face off against the man who will be throwing Edge a “farewell party” tonight on Smackdown. This entry was posted in Entertainment, Wrestling and tagged Adam Copeland, Alberto Del Rio, Attitude Era, Christian, D'Lo Brown, Darren Drozdov, Droz, Dudley Boyz, Edge, Extreme Rules, Friday Night Smackdown, Hardy Boyz, Hulk Hogan, monday night raw, Puke, Rated R Superstar, retirement, Sports, tag team, TLC match, Ultimate Warrior, World Wrestling Entertainment, Wrestlemania, Wrestlemania 27, Wrestlemania VI, WrestleMania XXVII, wrestling, wwe, WWE Champion, WWE Raw. Bookmark the permalink. Good article.. I guess while I liked Edge, I didn’t appreciate him as much as I should have while he was around. He’ll be sorely missed.